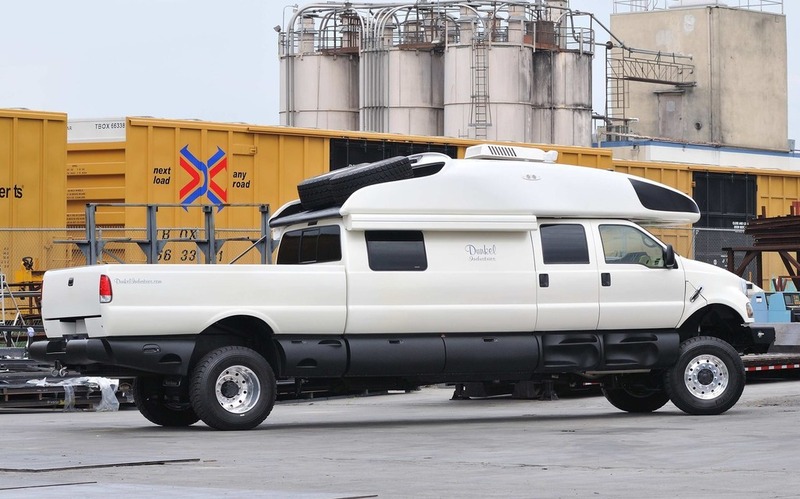 If you’re looking to buy the ultimate Ford F-Series truck, now is your chance: The surreal, one-of-a-kind F-750 World Cruiser shown here will soon be auctioned in Monterey, California. 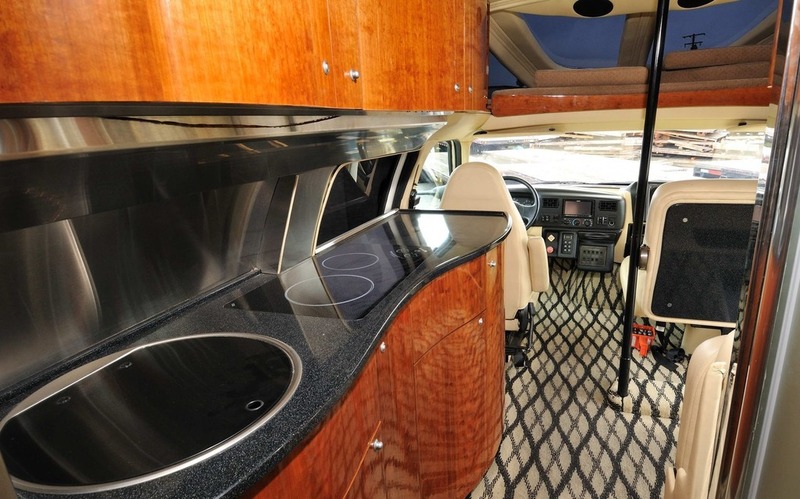 This monstrous and ultra-luxurious RV was imagined by Peter Dunkel, owner of Dunkel Industries, a company known for its extravagant truck conversions and specialized in heavy-duty transportation. It previously developed vehicles to haul fighter jets, satellites and even the Endeavor space shuttle. Designed to rival the most lavish hotel rooms on Earth, the F-750 World Cruiser is a full house on wheels complete with a kitchen, a living room, a bathroom and beds for up to six people. It can also carry up to 8,000 pounds in the cargo bed and tow massive loads weighing more than four tons. Under the hood is a 6.7-litre Cummins turbo-diesel engine that produces 385 horsepower and—wait for it—1,200 pound-feet of max torque. Fuel economy is not specified, but the vehicle features two separate tanks with a total capacity of nearly 230 litres. Additionally, 22-inch wheels and a suspension lift kit are part of the package. 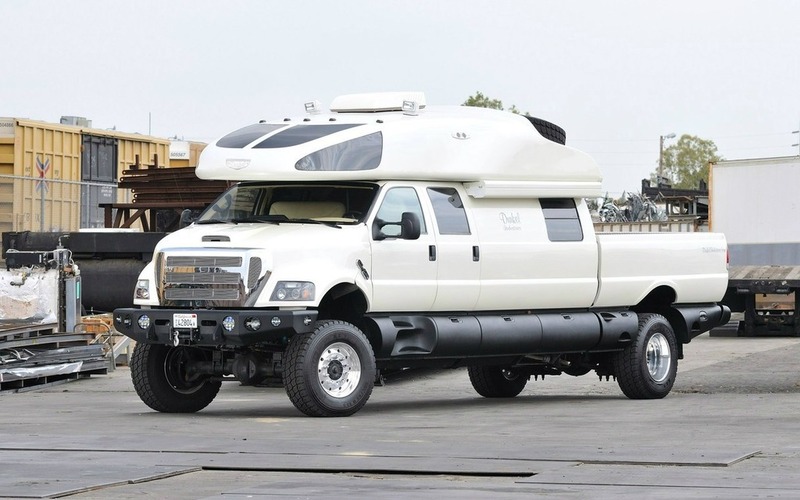 Oh, and in case you’re wondering, the F-750 World Cruiser cost a mind-boggling $6 million to build. Want to bid?